Although security is prevalent in PCs, wireless communications and other systems today, it is expected to become increasingly important and widespread in many embedded devices. For some time, typical embedded system designers have been dealing with tremendous challenges in performance, power, price and reliability. However now they must additionally deal with definition of security requirements, security design and implementation. Given the limited number of security engineers in the market, large background of cryptography with which these standards are based upon, and difficulty of ensuring the implementation will also be secure from attacks, security design remains a challenge. 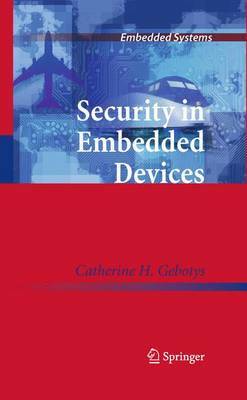 This book provides the foundations for understanding embedded security design, outlining various aspects of security in devices ranging from typical wireless devices such as PDAs through to contactless smartcards to satellites.